"SILENT WEAPONS FOR QUIET WARS "
A Twisted Tale of "The King Without Clothing"
An even more twisted tale of "The King Without Clothing" is basically the story line that the puppeteer/puppets based most tricks on to be sold to the population. As stated many a times on previous writings most is based on half truth mixed with lies and at times a bit of framing is needed. Remember though that some puppets are weak to the point that they even intentionally would submit a love one or supposedly a love one to be used or abused along the game in order to save face or reach a certain goal. Is not just strangers that get to be used or abused and so the list of innocent victims grow. In a cowardly game there is no such thing as honorable acts... especially on those worse case scenarios. Sad but it is true. Thus the story line of the King or Target is as many have experienced.. either to be depicted as a thief, or as a health hazard or a drug addict or anything else that best fit the puppeteer's agenda... the list goes on. What is worth contemplating for a minute here is that the act of harassment itself is probably an even worse act compared to what "Kings" are being harassed about. In most cases the harassment could have been avoided simply if there was better communication. Think about it for a minute. I think I will gather some example of some people that have been harassed to illustrate the ridiculousness or excuses people provide when caught for harassing. Do not think for a minute that sociopaths are the only ones that harass others. Unfortunately as the world is right now, we can safely say that anyone Can and Would harass under the "right" conditions. However when you have sociopaths taking the lead then you can pretty much be certain there is no limit on how many heroes he/they will turn into cowards. I will stop at this point until I gather those examples I mentioned. First of there is an unpublished writing that I did sometime in February expanding as to the purpose of some particular tricks puppets pull in worse case scenario.... i won't go into details here because I thought that probably would bring people into unnecessary or too much fear. If anything, I would urge the ones in responsibility to think hard and clearly as to why some of the events that are brought up to them as issues are happening... It is simply not "What you see is what you get"... it is deeper than that and usually the goal could be decipher if all little even what seems "unrelated" details gets analyze together... Unfortunately that itself would be a ominous task at times. There are many people of responsibility that will give in to the pressure but there is a lot to say about those that keep their head on their shoulders. It is indeed a difficult shoe to fill in. However what I want to bring to the attention of the public, at least those that are willing to listen for many will stick to trusting only their physical senses (or the feedback from those that were made to be "testimony" of a bad experience) and that is exactly what they will always be easily presented thus easily manipulated with. For example, if is of the objective for the puppeteer(s) to present the Target as being lets say lacking good health standards it could be easily done of course depending on the personality and lifestyle of the Target. In other words, is the Target a loner? (thus little interaction where public receive little to no perspectives other than what they see or hear)... what is the type of clothing the Target is being seen ... does the wore drove looks dirty(or maybe is just old? ), the target is not being seen using the laundry-mat (perception: maybe it does the laundry somewhere else)... all those little details can assist for outsiders to draw an undesirable or skew picture of the Target and the puppeteer knows that... of course you have to remember at times there are insider(s) that will act as hero(es) to "ease" or in other words to promote more of an uproar.. instead of forming part of a solution that individual(s) is there to add up to the problem and flare up situations.. you don't have to take me word for it... is not like this ever happens in the real world. Now why would the puppeteer need to get a Target to be viewed as lacking Health Standards.... We could come up with different reasons and sometimes is not just to simply skew the view of others about the target. Regardless of the final objective, this tactic is fairly easy to implement and create disharmony in any type of community or setting where the target is little known. If the target does not display "naturally such" disposition nor it can't at times be forced upon the target to display it (such as tampering directly on the Target's property or self), it can still be created artificially fairly easy as long as there is manpower/resources available. In this random example, lets pretend that the Target lives in a cabin.. no no lets say a tent... where there might be some chances that rain may leak in and by some unlucky act of Zeus it seems that the ceiling if in a cabin "collapsed" or the in the case of the Tent, the top cover got moved.. "innocently" by the wind creating a gap in the tent where the rain partially got thru. Now you all that have washed clothe knows that if you leave the clothe to air out without being wrapped it will eventually dry up , those that are wet and folded if left as such for a long time it will eventually get an undesirable smell. Lets have a moment to Dispel a Fear: For those modern people that never aired out clothe, yes the clothe can dry quite fine if aired out with no need of modern dryers. Someone that is mindful of their belonging I would say that person would opt to air out whatever might have been affected. However this condition leads to an opportunity for puppeteer(PP) to plan their next attack. In advanced stages of worse case harassment scenarios you can bet the "events" are "coordinated" to some degree... and usually pre-plan... they just needed the right timing to apply the scam. As I mentioned in earlier writing, location location location is very important when puppeteers needs to pull the scam.. and there are probably plenty of people to assist if the "harassment" has been going on for sometime already. Lets say for the sake of this example they choose the "Bathroom setting"... after all the Target needs to go at some point to the bathroom (in this particular scenario at least to a public bathroom) where eventually it may or not interact with others. The puppeteers usually start with an exaggerated scam in this case to promote of a "poor" health.. or cleanliness on behalf of the Target an undesirable "scent" will be utilize to make the biggest impression on anyone who (at times) has been selected to experience it. 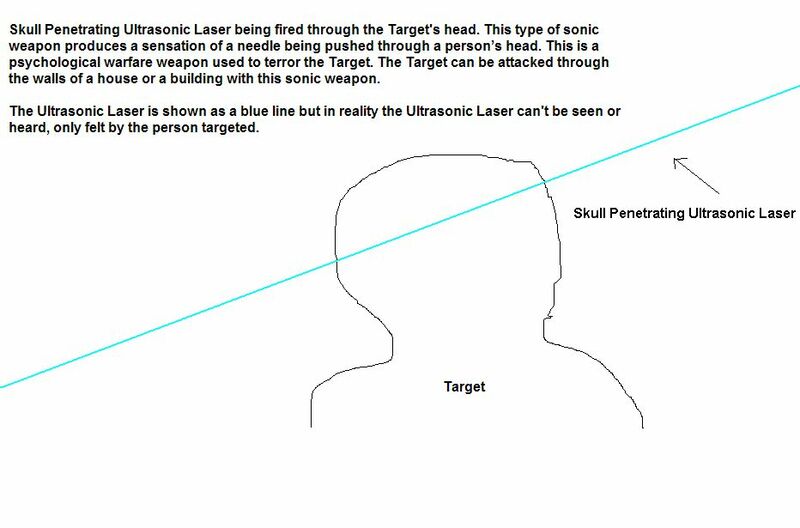 The "victims" or "targets other than the Main Target" may be pre-chosen or just anyone that may cross the path but either way they (PP) will be in the look out to make sure someone(s) do experience it. They will need to have "eyewitnesses". Well I can only come up with a couple of ways, there could be other ways I might be missing.. 1 someone could have come in and "blessed" the surrounding while the Target showers and left. (sometimes a puppet can be asked to play both roles, release the scent and then play the role of the eyewitness). 2: A concealed device which can very easily be activated remotely. 3: Maybe it was the Target that actually carried such an unrealistic and impressionable scent. However, as I said, usually the initial attack to create the biggest uproar are unrealistically exaggerated then they tone down when they follow with "mini" "attacks" once they are alerted of the exaggerated event. In this scenario the scent will be a strong smell perhaps of wet clothe (previous rain event will be the supportive evidence)or something related to the erroneous "perceived" " living conditions of the Target. After such attack, most likely the scent will be pinned on the Target... Tent, Rain, Same clothe = must be Target. Unfortunately the Target does not get questioned of such event for details if it is pushed as an issue. The main goal really is to place a cross-hair on the Target.. Other little games will follow, the Target is already the main suspect after all. some will jump into the bandwagon and pretend to be helping out to "bring" clarity to the "suspicion". To be fair, some truly want to bring clarity... is their environment after all and they do whatever they can to help out. But Unfortunately some have a double agenda.. especially the ones connected to the "outsiders" or puppeteers directly or indirectly. They might claimed that out of the goodness of their heart they had sacrificed their ethics and morals to obtain (directly or indirectly) a (specific) piece of dirty sweaty clothing (if left un-tampered of course) as evidence... it helps them gain trust and points... is the usual double agent approach (surprising this is acceptable in the eyes of average individuals). Ain't amazing the effort some people go to get some "specific" answers. All of this is just a guess of course. I can't see anyone thinking they can Fool Some people All the Time... at least not by themselves. How much are they to be pitied you be the judge of that. My advice to the general public is if people want to find the "daily smell" of someone, walk up to them, interact... either that or be at the mercy of players... That is of course if you not happened to be the one chosen to be repeatedly played for one reason or another. Although there is very little the Target can do to counteract others ill intends, my advice however to the Targets if they suspect such ill games is to keep a watch if possible of their property and surrounding (of course don't get paranoid) and if possible become more sociable. Make someone aware of the scent as some may be readily recognize as originating from another source other than you if analyzed logically. Depending on the depth of the game such advice might minimize such idiotic attacks to some degree or make it worse... you the target have to play it by ear as all games are unique. The good news though is that this type of extreme recklessness, immaturity does not happen in the real world. Anyways... The point of what I am trying to say is that if people take events as they are presented without doing proper questioning it will lead into giving the puppeteer more opportunities to create harm... 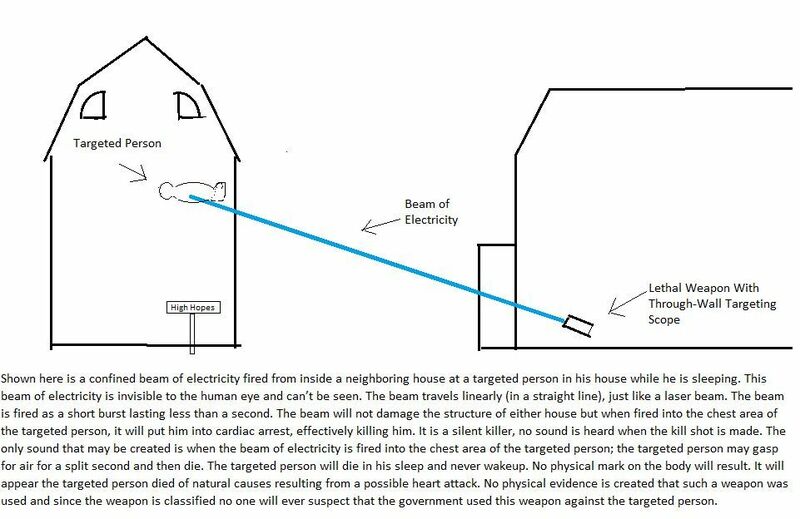 Unfortunately on these case scenarios, people tent to view the Target as the Aggressor. It will be hard to wrap their minds into the idea that they possibly are being played... but not by the Target. Of course, I doubt such extreme stupidity of cheap trickery ever happens in this real world or that anyone with any common sense would participate to make it manifest. So all is good as usual. Hear Ye! Hear Ye!... A Short Letter to All Targets! You hold the key to unravel even the most intolerable circumstances. to a world that have lived blindfolded... indifferent to cancerous behavior's causes and effect. leads to no grave consequences. You have experienced how fragile livelihood could become... from privacy to health... at the hands of perpetrator's and supporters who find dehumanization an acceptable mean. You are not meant to live in pain and oppressed at any unwarranted level... it is inhumane This should not be allowed... it is not a norm nor to be accepted as such. The accusers or participants that believe that you merit the social "punishment or torture" (by the perpetrator and supporters) because "you are asking for it" lack the understanding of the "evil" behind their ill act... it is a mere excuse to accept illogical and twisted behavior in the name of justice. It is a childish view. It is shortsightedness that unfortunately leads to many to think that harassment, bullying or abuse as acceptable means to resolve their problems specially if done hidden from the rest of the population. You need to become the ground breaker... The troubleshooters in your field... This is your opportunity to be part to right the "social" wrong. Seek the support... get informed before you act. Knowledge and preparation is most essential in achieving success. Never ever buy into the idea that you must accept your current fate defined by another. Know... You are not alone... many might shy away from assisting but many others would stand by you... until such a time where the "tolerable unjust social acts" finally becomes "intolerable" by all. Not just on paper but in every single being's mind. Make a Stand... Make it Known... and on those times when you feel exhausted and feel you just can't go on... let your Wings rest beneath our Wings. In some worse case scenarios, harassment is not limited to the household, or workplace or school etc. 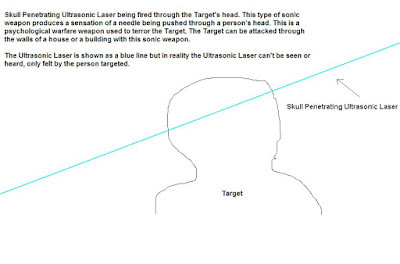 It can encompass several or if not all areas of the Target's life. It all depends again on the level of fear of the perpetrator(s) and the deception enterprise which has been built overtime. Remember what I once mentioned, in order to keep deception or harassment going and successful passive aggressive methods needs to be employed. Although there are other variables at play but bottom line if you keep it hidden from the eyes of the general public you can make it endure up to years thus prone to go viral ("The Ambrosia or Immortal Scheme" as I mentioned in the previous writing Part III). Unfortunately some that have been subjected to extreme harassment even if briefly succumb to its ill pressure or stresses.. and don't get to see the day of light..
Quick Note: In regards to me current harassment issue, I am not here to provide proof of anything as if I needed to defend myself from ridiculous accusations. If there is anything I feel guided to do is to apologize for not having figure out how to put an end to this foolish viral harassment asap for I had been a witness to too much deterioration not just in me life but of others. Our selfish attitudes and indifference for others have allowed a sociopath and his immediate minions make a fool not only out of us but out of a multitude of innocent individuals that crossed our lives. ... and i mean innocent because some people are unaware of the current scams and are used and abused equally on ways that you cannot even imagine and would never take ownership of the share of it... but you don't have to worry about that right? because whatever action the sociopath takes or took to cover up for each of the misdeeds (yours or his) is excusable in your eyes... after all the "ends justifies the means"(Behold, a sociopath's view point). Congratulation for such shortsightedness. I for one will not become complaisant to such views and thus is the reason for me writings... in hope that some will be spared from this viral social injustice. I understand that the sociopath will take the minds of man when in darkness and wield it to his liking... but in the face of light his attempts are rendered useless. Even if you do not find all me writing to be acceptable I know (specially those that currently participate) some of it will hopefully bring forward those red flags that initially were ignored and hopefully at least some of you will take the healthier approach instead of living in shackles of fear which is the abyss the perpetrator need you to be in order for his survival not yours... He needs you more than you need him... remember that. Who will not assume UNDULY power over others if presented with the opportunity? especially if they are assured (tricked) that such actions have no consequences. How could one starts to explain harassment's ill effects and the unimaginable ways that harassment has been employed to suppress, oppress, alienate and more. Even... how is one to bring it to the attention of individuals who never thought they could form part of it either as a participant in harassing or becoming ever a target. In such cases of extreme harassment such beliefs could become but an illusion. Your sense of security and comfort... shattered.